Today you will learn what the Integumentary System is, how it works and what Diseases and Treatments it or you suffer from. The integumentary system is the largest organ system of the human body. This organ is actually the skin. The skin plays important role in body functions. The skin is involved in all body functions. This system is one of the amazing systems of the human body. It encompasses many things. Skin has a lot to offer and plays very important roles including protecting internal organs and systems, sensing pain from internal and external environment, excretion of toxins and waste, body temp regulation, vitamin D synthesis(1) and much more. This simply means that any disease affecting the system can cause serious health effects. 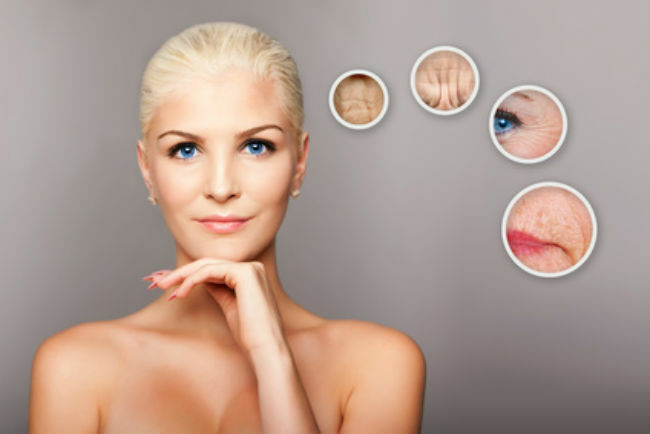 These are diseases that affect the skin and limit its functionality. These diseases should never be ignored as they can cause serious health conditions. It is important to note that these diseases are confined to your facial area. Most of these diseases can be treated. It is always good to go for medical checkup and find out if you’re suffering from either of the diseases. The earlier you do it the higher the chances of cure and the less the effects of the disease. As soon as you realize that you’re suffering from either of them, you should seek medical attention. In this article, we will discuss various integumentary diseases and their treatments. This is one of the most common skin disorders. The disorder is actually caused by hair and oil glands. These are red bumps, spots on the face, chest and back. They are controlled by hormonal changes. This condition is easy to treat. It should not give you stress. If you have acne, you can consult your dermatologist for treatment. This condition is simply treated by making use of vitamin A. You can use Benzoyl peroxide to counter the effects of bacteria. You can also use antibiotics to treat inflammation and salicylic acid(2)that helps unplug your skin pores. These are rough bumps caused by infections. These warts may occur in the form of black dots. They come as a result of blood vessels getting blocked. The blocking may be as a result of papilloma viral infections. These warts occur on hands and feet. It is always good to seek medical attention as soon as you see warts. It is not hard to treat warts. You just need to mildly irritate them. Liquid irritation is actually the best thing to irritate warts. You can also do it by lasers or freezing. Your integumentary health is very important. You should always seek the help of your dermatologist in case of these conditions. Vitiligo is a condition that occurs when your skin cells are unable to produce skin color. Your cells may stop functioning unexpectedly due to other related conditions or health complications. As a result, vitiligo may occur. Vitiligo causes your skin to develop white patches. This condition can be treated. Vitiligo is treated by specialized light treatment. This condition requires you to seek the help of a doctor who is experienced in this field and who possess all the necessary equipment. This is a serious condition and should be treated as soon as you realize you’re suffering from it. There are three types of skin cancer namely; Basal cell, Squamous Carcinoma and Malignant Melanoma. It is a type of skin cancer that gives your skin a similar tone as pearl. This skin disorder is very dangerous if left untreated. This is a condition that affects your skin. You will have rough surfaces and colored sores. This condition causes death to 10 percent of its patients across the United States. It is a serious condition and should be treated as soon as it is discovered. This is actually the worst and most serious skin cancers. This condition can easily lead to death if untreated. This disease is very serious. 35 percent of patients with skin cancer are likely to have this condition. These conditions can be treated by visiting your doctor. All these conditions have different method of treatments depending on the nature of the disease. A person whose skin burns quickly in the sun is most at risk of skin cancer. The telltale signs of burning are the skin turning red, puffing up or peeling. Ultimately it is sore to touch and may last a few days before the pain recedes. Pain is the body’s way of saying something is wrong. People often ignore the pain to the long term detriment of the skin and health. People with less melanin will burn more easily than others. Melanin is a substance that exists in the skin, eyes and hair of a person. They will have lighter colored eyes, like blue or gray colored eyes. And most importantly their skin will be paler. People with little or no melanin in the body have a condition known as Albinism. Albinos will have no color in their skin, hair and eyes. The way melanin protects the skin is by darkening it whenever it comes in contact with sunlight. This is commonly known as a suntan and is the body’s way of preventing sunburn and thus skin cancer. However, it is an extremely fine line between getting a suntan and going too far and getting sun damaged skin. Being exposed to Ultraviolet radiation is another cause of skin cancer. This may happen in a work environment but is most common in the humble sun bed. The sun bed is a popular way to get a tan all year round but overuse of the bed puts your skin at risk to damage and ultimately skin cancer. To finish, exposure to UV radiation will cause skin cancer. You should take action to avoid being exposed to UV radiation, most commonly by being exposed to the sun. At all times, when in the sun you should wear a hat, clothing to protect your body, sunglasses and sunscreen on areas of the body that are not concealed like the face. As soon as you find out or suspect that you’re suffering from any skin related condition, you should always consult your doctor or dermatologist.